There are three areas to this website: public pages, Journal, and the members' area. It is easy to tell which area you are in as the backgrounds and page headings are colour-coded: grey and green for the public pages, teal for Journal and orange for the members' area. You can navigate between these areas by using the easy icons at the top right of your screen. At any time you can go to the public home page by clicking either the red home button or by clicking 'home' in the green 'quick links'. You can access the members' area by clicking the orange members' area button. If you are not logged in you will be asked to do so. If you are logged in you will be taken directly to the members' area home page. In the public area you can go to the home page at any time by clicking the ANZACATA logo. When in the journal area, the ANZJAT logo takes you to the journal home page, and when in the members' area, the ANZACATA logo takes you to the members' area home page. Single click the green 'Quick links' icon to bring up a list of commonly used pages, and click on the desired page. To login to the members' area, click the orange member area icon at the top right of your screen, or the blue 'person' login status icon at the bottom right of any page. Once logged in, single click this blue button so you can see your login status, view your profile, change your password, or logout. Professional members can advertise their practice on the 'Find a Therapist' directory. Go to your MyANZACATA profile and check that your information in the directory fields is up to date. You can upload a photo and/or a logo here too. 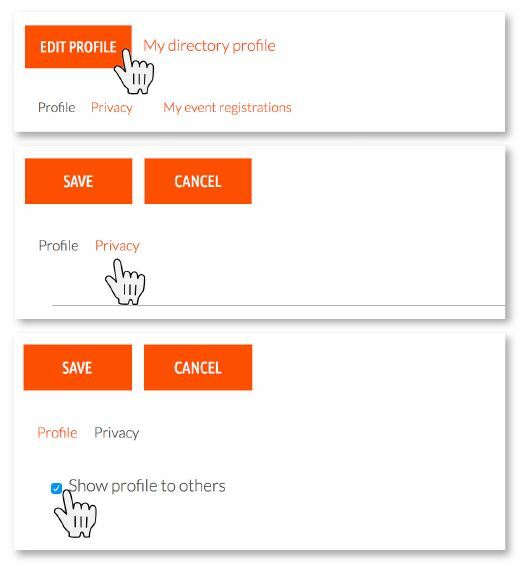 To ensure that your profile is visible and fully searchable by the public, go to your MyANZACATA profile and click on EDIT PROFILE and privacy and then click 'Show profile to others' on, or off if you do not wish your profile to show in the 'Find a Therapist' directory. We recommend viewing this website on either Chrome or Safari. If you experience problems where aspects of the site do not work properly, for example, the blue login button, drop-down menus not scrolling, etc, please first try viewing the page in another browser. Make sure you always keep your browser apps up to date. For any technical issues or enquiries email Vic.